What happened to the family of Francisco Franco? Francisco Franco ruled Spain with an iron fist until his death in ’75. At which point, a more or less peaceful transition to democracy happened. But, what happened to his family? Well, they’re still out there, floating around throughout Spain. 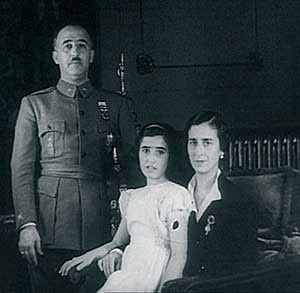 Franco and his wife Carmen Polo (known throughout Spain as doña Carmen) only had one child, a daughter by the name of Maria del Carmen Franco y Polo. She is known as la hijisima, which was the affectionate name Franco used to refer to her by (my little daughter). but we shall never know… unless we get the old DNA testing kit out. In 1975, as part of the handover, King Juan Carlos bestowed the hereditary title of Duchess of Franco upon her. She’s also a grande de España, one of only a few left : it’s the closest equivalent to a UK peer of the realm. She’s also the dowager duchess of Villaverde through her husband. She runs a charitable foundation called the Fundacion Nacional Francisco Franco which aims to propagate Daddy’s good memory in the official history books, and for some reason, last year was named Dama del Real Cuerpo of the Nobleza del Principado de Asturias. Her foundation (which still receives taxpayers cash for some reason) was in the spotlight earlier this year after it suggested that the Army should not be passive as Spain drifted towards breakup and collapse, a sentiment that was jumped on as suggesting that the military should invade Catalonia if they try to breakaway. We also learn through the serious press that she owns the second most prestigious apartment in the luxury Marbella complex La Alhambra del Golf. (The most luxurious apartment appears to be owned by the scandal hit President of Madrid, Ignacio Gonzalez, currently being investigated for alleged tax fraud). Wikipedia says she has 14 grandchildren, but I can’t be bothered to list them here. María del Carmen Martínez-Bordiú y Franco married Alfonso Jaime Marcelino Manuel Víctor María de Borbón y Dampierre, a cousin of King Juan Carlos and a claimant to the vacant Throne of France. Alfonso’s Dad was the eldest son of Alfonso XIII, the King of Spain who was deposed by Franco, but was barred from inheriting because he was a deaf-mute, meaning that the line passed to Juan Carlos’s father. Francisco Franco y Martínez-Bordiú was the first male descendent of Francisco Franco. So when he was born in 1954, his surnames were swapped by order of Congress in order to propagate the family name of Franco. So that´s why his surnames are reverse to his sisters. He wanted to be an agricultural engineer, but “family pressure” encouraged him to become a doctor (as was expected from the favourite grandson of the Absolute Dictator of his country, he graduated with flying colours but never practised. I wonder why?). He became a “distinguished businessman”. He was once arrested for poaching, when out on a lark with some friends at the age of 22, and was banned from owning a shotgun for three months. He has a “little hobby” in buying and selling private garages across Madrid, and is reckoned to be the largest garage owner in Spain – his garages turned over almost 22 million euros in 2010. María del Mar Martínez-Bordiú y Franco (known as Merry) married a poet and writer called Joaquín José Giménez-Arnau Puente, but got divorced years later due to his lifestyle. Jimmy as he is known remains “great mates with Merry” but has been married several times since then, and is a regular correspondent on Spanish gossip TV programmes, where he is proud of his “inside knowledge” of the Franco clan. Jaime Felipe Martínez-Bordiú y Franco is widely recognised as a piece of ****, sentenced to a year in jail in 2010 for beating up his then girlfriend, the model Ruth Martinez, during a holiday in Mijas. His name is rarely out of the gossip sections of the Spanish “pink press” for one scrape or another. The Franco clan appear to be doing “all right” for themselves. It’s believed that they control a trust worth about 160 million euros, without taking into account personal wealth. Most of the wealth comes from a massive estate called la Valdefuentes, consisting of land purchased by Francisco Franco (the dictator) shortly after he gained power. A historian reckons the cash came from “charitable donations” given to him at the time. The family members all seem to control massive business empires that turn over millions. Tiempo magazine says the family could control a billion euros a year, although a report by El Economista suggests the real amount is closer to 600 million a year. The family wealth means they have the fifth largest family trust in Spain. Valdefuentes cost Franco about 2,5 million pesetas in 1940 – it’s worth about 2,5 billion euros (in 2012). Valdefuentes today contains valuable Madrid real estate, for example, the massive Xanadu shopping centre (with what was the largest indoor ski centre in Europe) is built on land leased from the family. In 2007, the family trust declared almost 24 million euros in profit, an amount it continues to declare on an annual basis, crisis or no crisis. Of course, one can imagine that Franco salted away as much as he could get his grubby little hands on. The amount of historical artefacts the family is rumoured to possess is beyond belief, and the rumours are bolstered by stories in the press about their fantastic escapades. For example, in 1978, la hijisima was caught at Madrid’s Barajas airport boarding a flight to Switzerland carrying 38 precious medals from her father which supposedly belonged to the State – she was fined 6,8 million pesetas for smuggling historical artefacts (she was later pardoned, but the medals went to a museum). She famously claimed at the time that she was tired of them lying around the house and was going to have them melted down to make a personalised Swiss cuckoo clock. A couple of years ago, one of her daughters got in trouble for trying to flog some rocks from the Moon that the USA gave Franco back in the late 60s as a friendship gift. 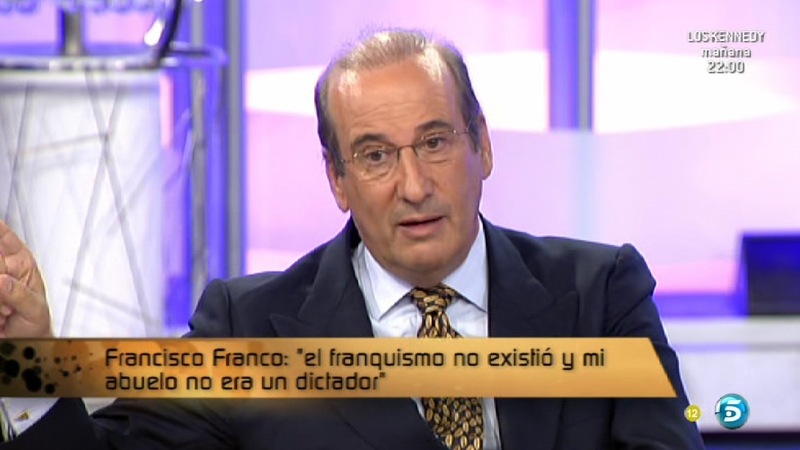 “Francis”, the garage owning grandson of Franco, is believed to be the business head of the empire. His name appears all over the place in the Company Registry; from a restaurant chain in La Coruña to the Laser Medical Centre Pio XIII to an abattoir in Valencia, his business empire sprawls the country. The abattoir, by the way, which also operates as a meat import and exporter, is part owned with Gonzalo Hinojosa, majority shareholder and president of Cortefield, the clothing store. You could carry on for page after page, and indeed, despite being a fairly close knit and private family, they manage to keep the gossip mill going. The important thing is that they aren’t suffering, and with the State refusing to investigate how Francisco Franco setup his original fortune, probably never will. 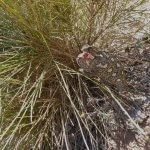 This entry was posted in Blog and tagged celebrity, franco, Martínez-Bordiú by David. Bookmark the permalink. THIS IS A GREAT ARTICLE AND RESEARCH, DAVID – THANKS VERY MUCH – HAVE BEEN LOOKING FOR SUCH AN ARTICLE ON FRANCO’S FAMILY FOR YEARS! GOD BLESS YOU! !